Plantation Shutters provide privacy and security. Internal shutters allow you to control the amount of light that is filtered into a room putting you in control. Our plantation shutter range provides a quality product which can be used in any area of your home. Extruded from a quality PVC extrusion, the aluminium insert in each blade ensures the blade will not sag over time. 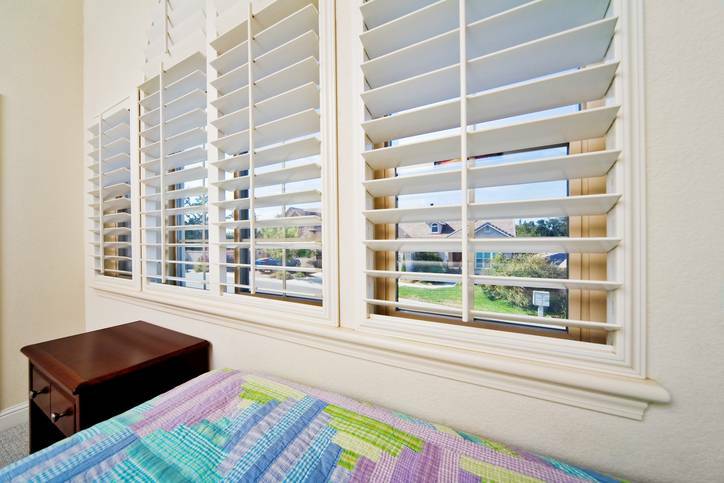 Plantation Shutters allows design and aesthetics to be applied to every room in your home. Plantation shutters are not affected by moisture or humidity and carries a full ten year warranty on product and five year warranty on component hardware and paint finish. Plantation Shutters unique ability to provide excellent thermal and acoustic insulation, its high strength, impact resistance and availability of 12 solid colours ensures that Riviera AL shutters will re-define window coverings and their ability to combine design, aesthetics and energy efficiency.